Important: FD300 board is no more manufactured and supported. For working with analog signals, FD322 board should be used instead. 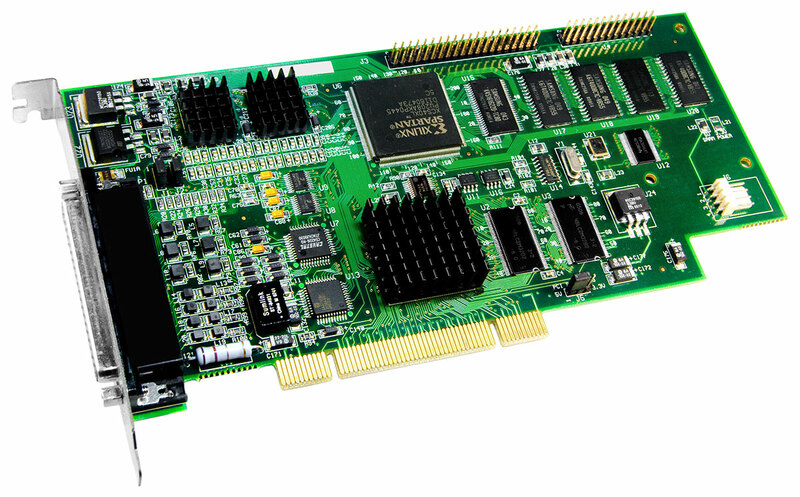 The FD300 board is a hardware framework for all the "Forward T" product line. In addition to the video input/output device (two input channels and one output channel), the board provides three audio input/output stereo channels. It is possible to install several boards in the same computer to build multichannel solutions. Various ways of connecting external devices (signal sources/receivers) to the board are possible: using the cable set (supplied with the delivery set) with connectors at the ends of the cables or via the breakout boxes (optionally). For more specific information, please go to the "Connections" Section. The board specification is available in the "Documentation" Section. To use SDI digital video signals in the "Forward T" products, an SDI-in/out option connected to the FD300 board is available. Supplying as an OEM kit with an SDK for third-party developers is available. You can get the current version of SDK on the "Download" page.